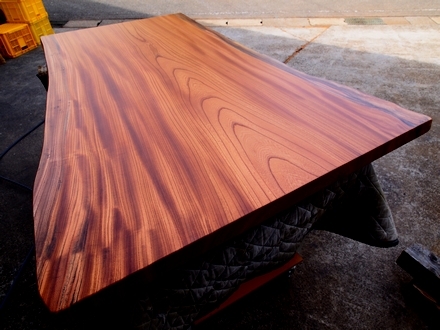 We made a delivery of a Zelkova table. 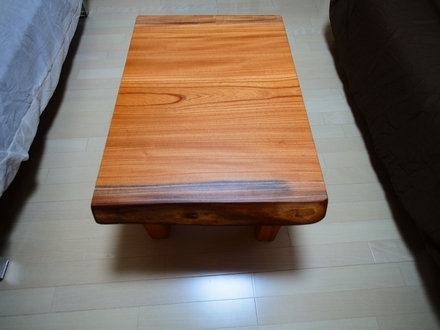 The zelkova came from Shiga-ken. It was the base part of the tree, so the outline of the roots by which the weight of the whole tree was supported is clearly visible in the grain. 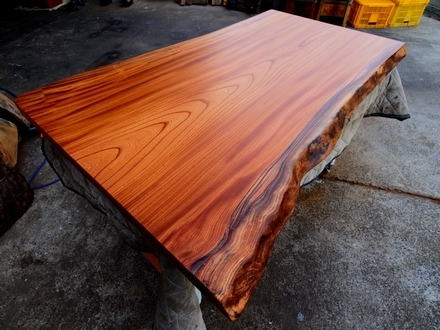 It was originally a 2 meter slab but the customer wanted two separate tables, and combine them together when they have guests. 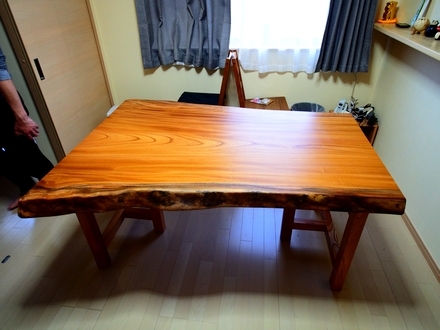 For normal days, they will use the large table as a dining table and the small table as a personal desk.